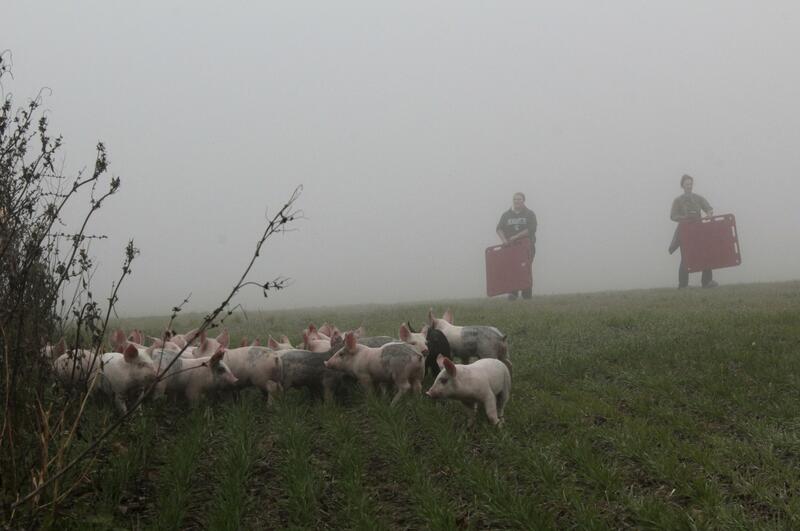 Tue., Nov. 15, 2016, 11:44 a.m.
MANLIUS TOWNSHIP, Mich. – Authorities say that about 200 pigs got loose after a truck heading to Indiana was involved in a crash on a foggy southwestern Michigan roadway. Bob Dykhuis tells The Holland Sentinel that the tractor-trailer owned by Dykhuis Farms Inc. was carrying about 2,000 young pigs when it crashed Tuesday morning in Allegan County’s Manlius Township. There were no immediate reports of injuries to people, but the newspaper says 10-20 pigs were killed. Dykhuis says it’s a “difficult situation.” Two other vehicles were involved in the crash, which left the bottom level of the trailer open and allowed pigs to escape. Fire crews, Dykhuis Farms staff and area residents worked together to round up the pigs. Published: Nov. 15, 2016, 11:44 a.m.